This is a media release cross-posted from the Aquarium's News Blog. 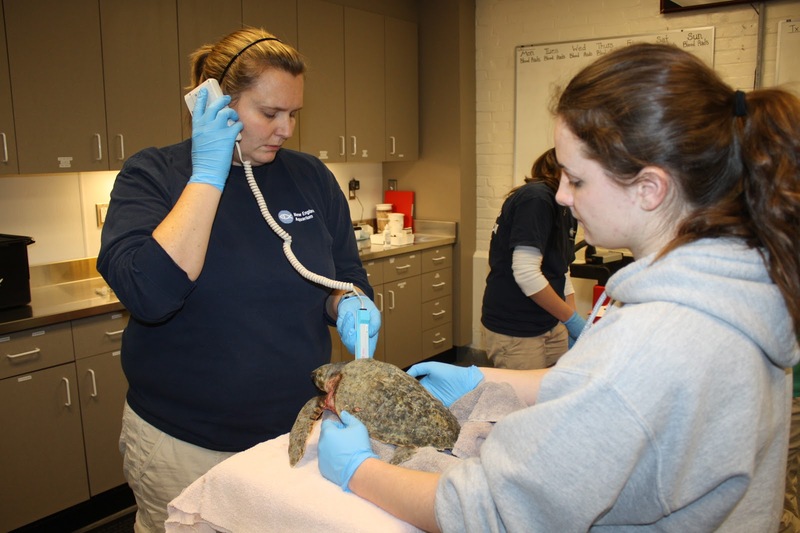 Find out how you can support the Aquarium and their efforts to rescue and protect endangered animals here. 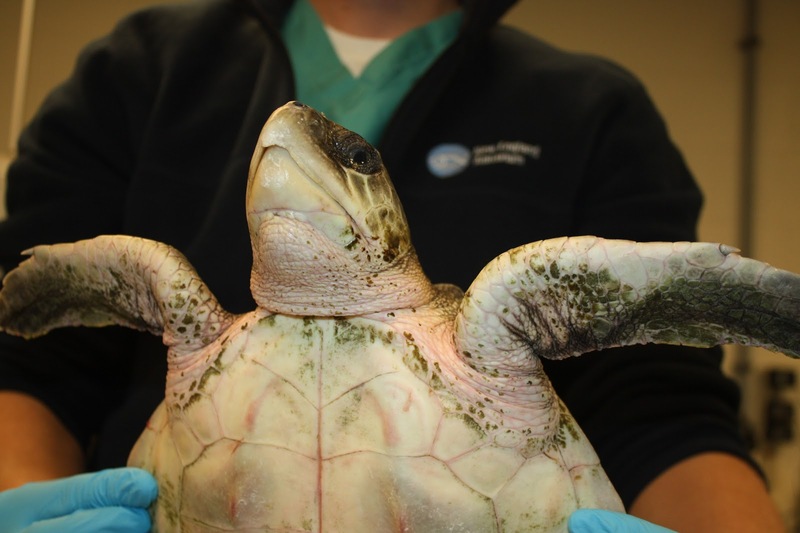 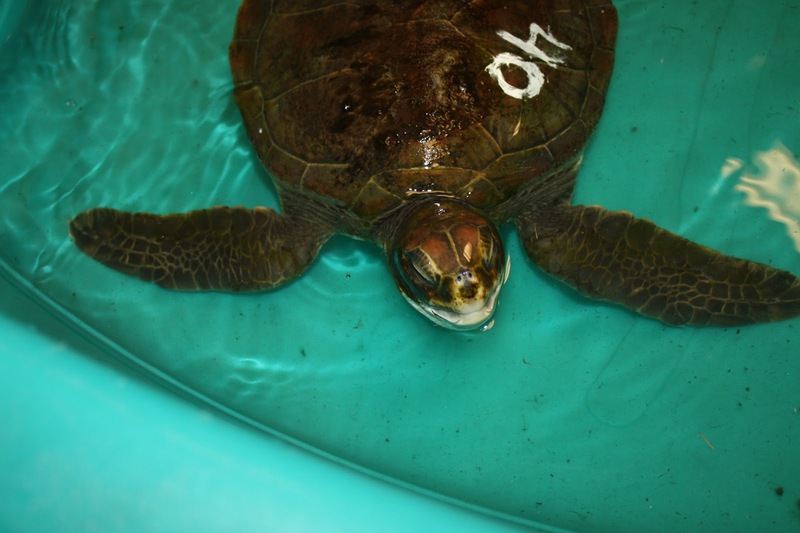 Get a feel for the early days of the sea turtle stranding season. 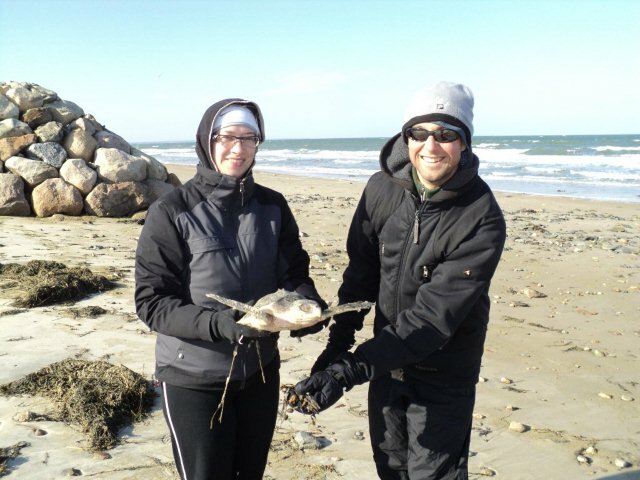 Turtle Season 2012 is here! 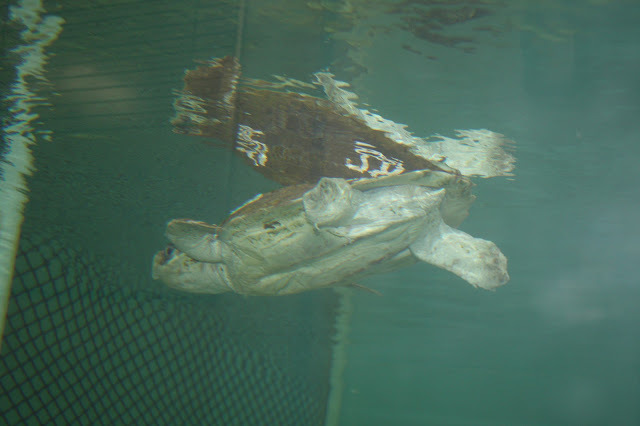 Every year turtles strand in the fall from cold stunning. 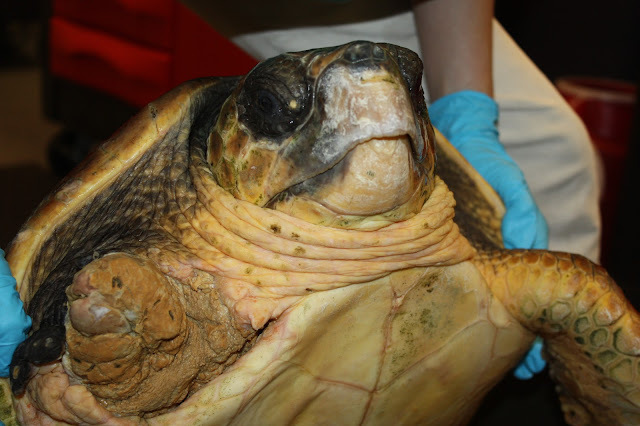 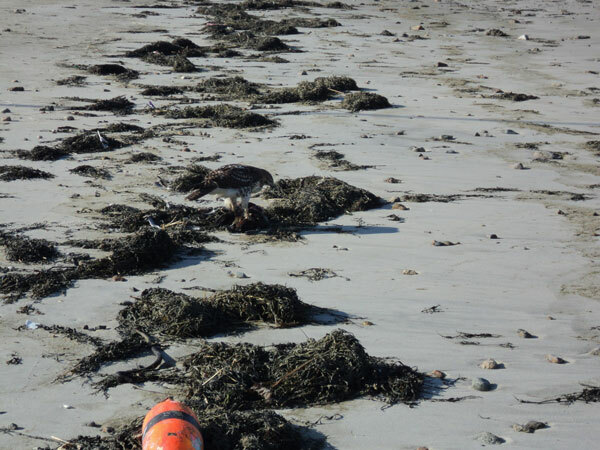 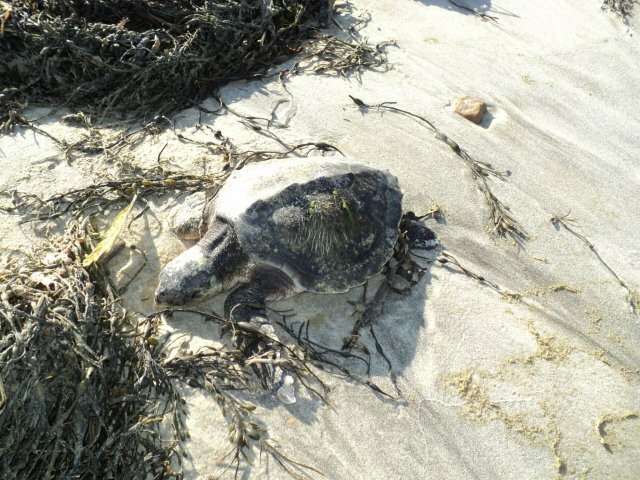 This occurs when the turtles do not leave Cape Cod Bay before the water temperature drops, causing severe hypothermia. 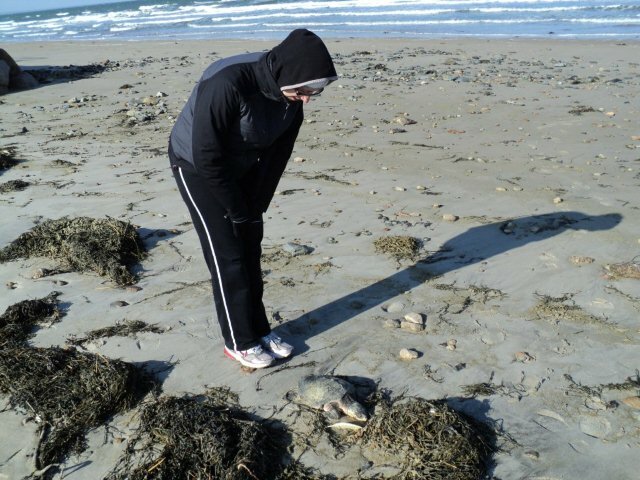 Their body basically shuts down and they wash ashore, especially when the direction of the wind blows them onto the cape. 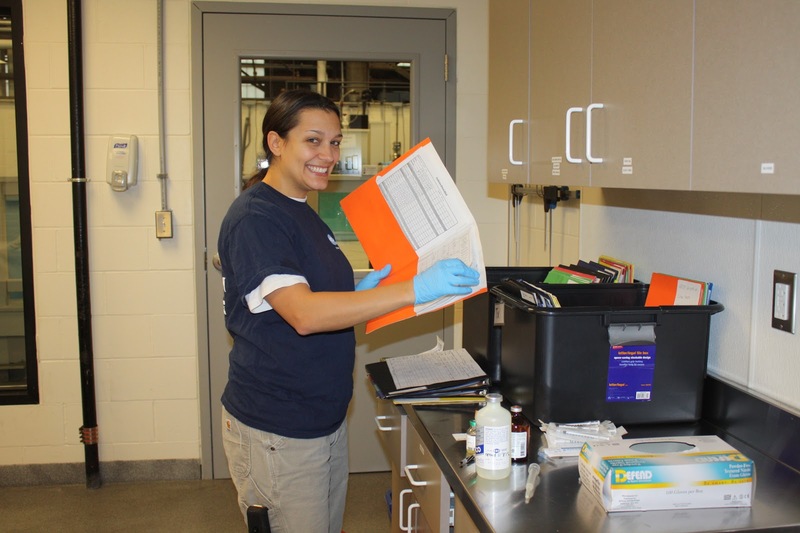 After the weather we've had this week, it's not a surprise our first patients arrived at the Animal Care Center in Quincy. 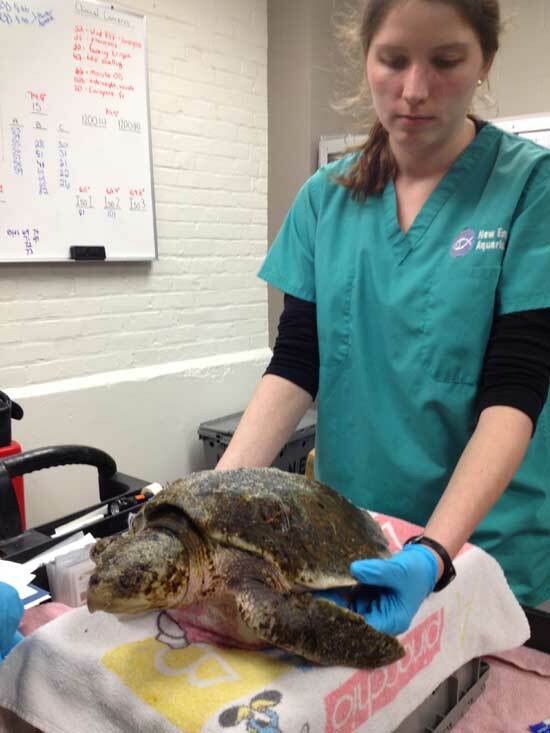 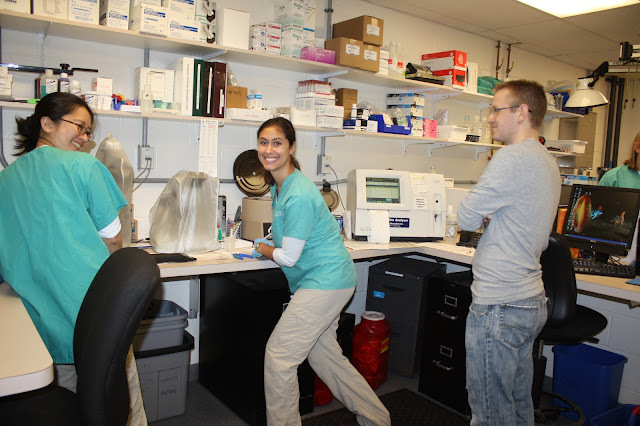 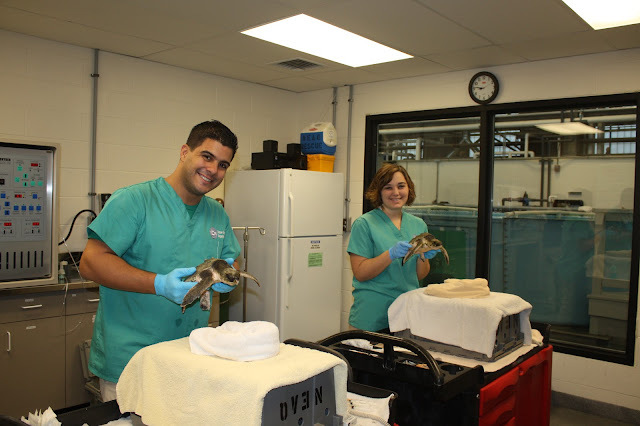 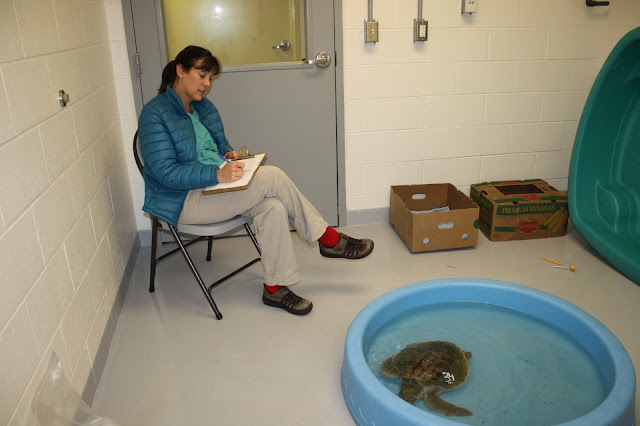 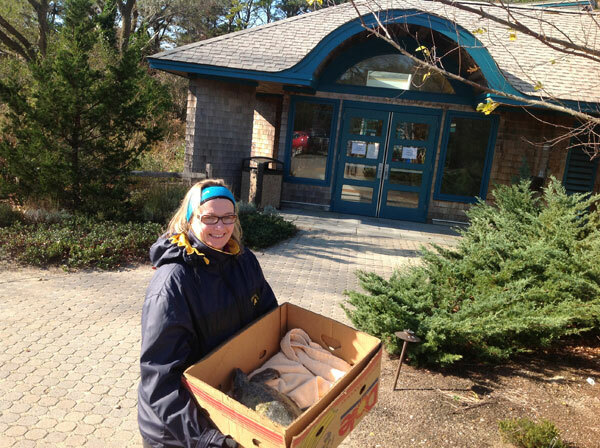 Our first patients were brought to Quincy by a volunteer from the Wellfleet Bay Wildlife Sanctuary on Tuesday. 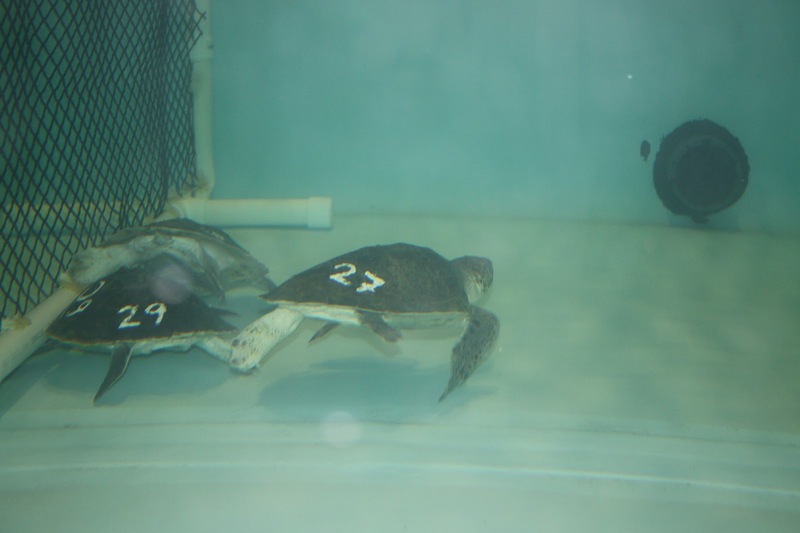 This duo are our first cold stunned patients for the 2012 season. 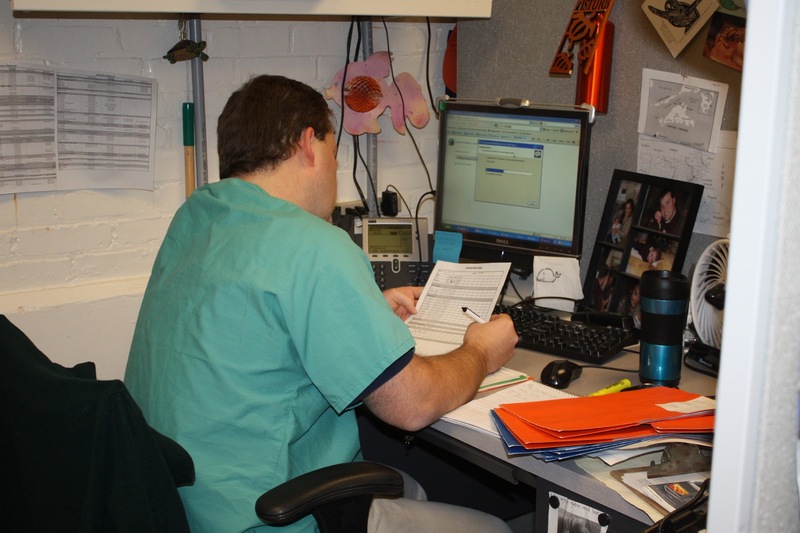 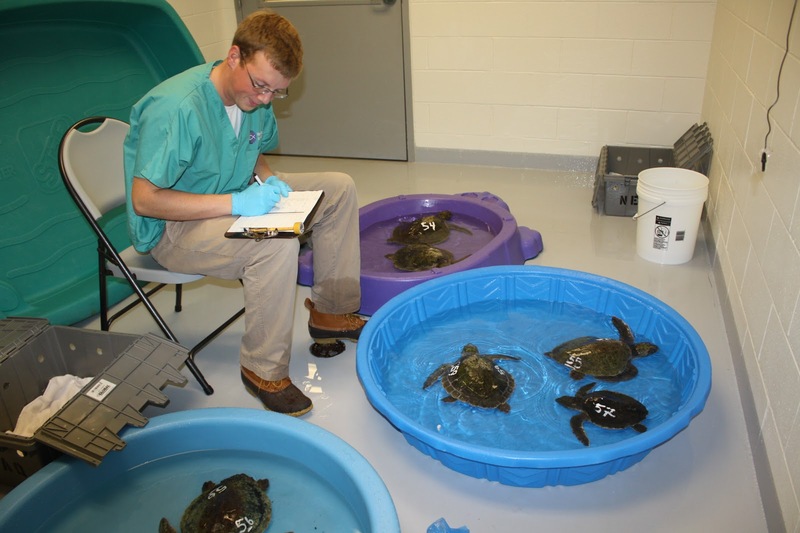 Our new patients must be monitored closely as we slowly warm them up (we increase 5 degrees F per day) and swim them in kiddy pools as they get stronger. 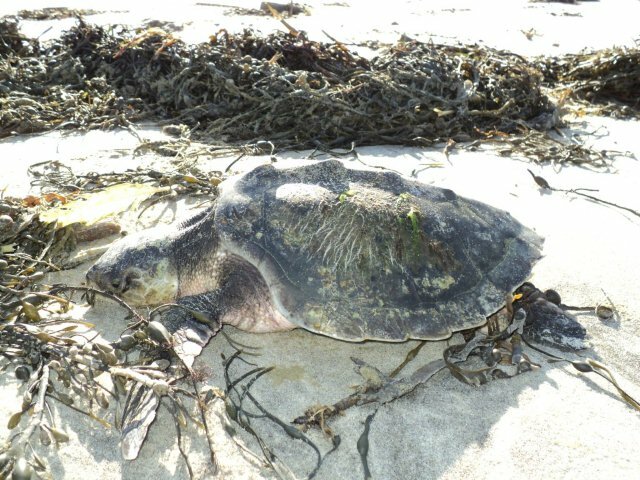 The strong north east winds this week washed the weaker turtles directly onto land. 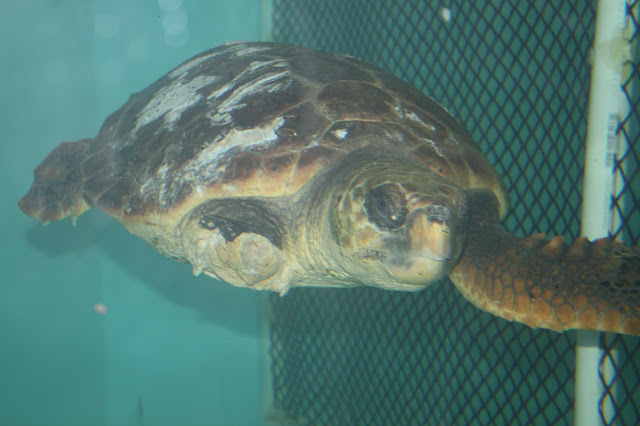 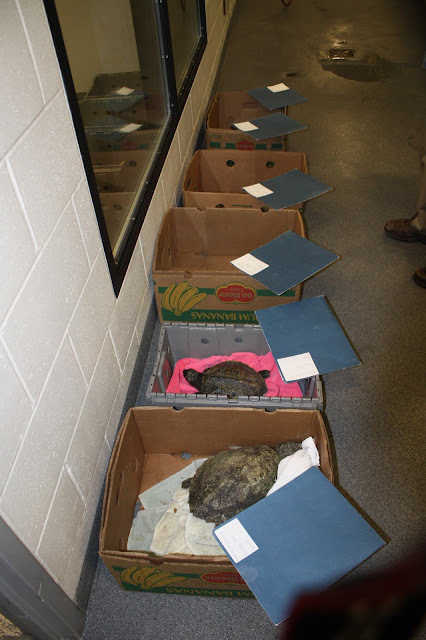 We received 6 more turtles (5 Kemp's ridley turtles and 1 loggerhead sea turtle) on Thursday due to the extreme weather. Above, one of our new patients eyes the camera during his intake exam on Thursday. 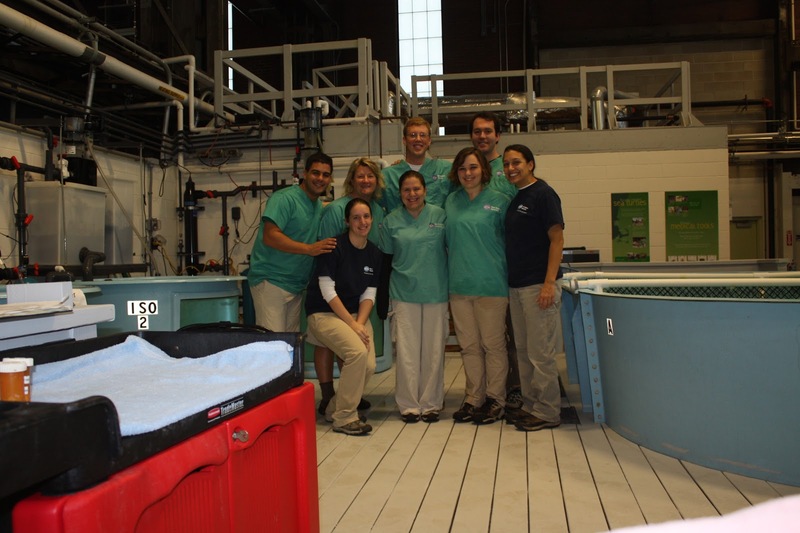 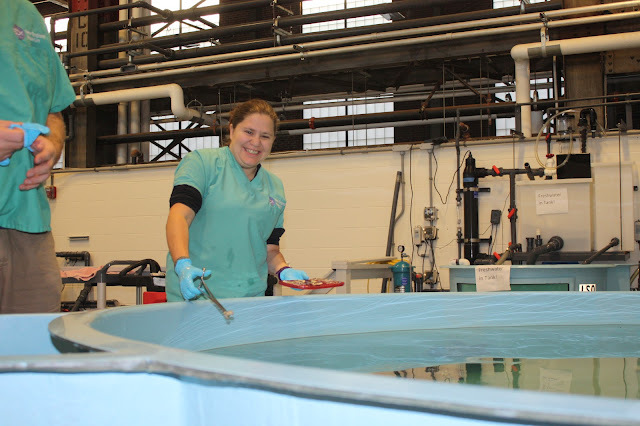 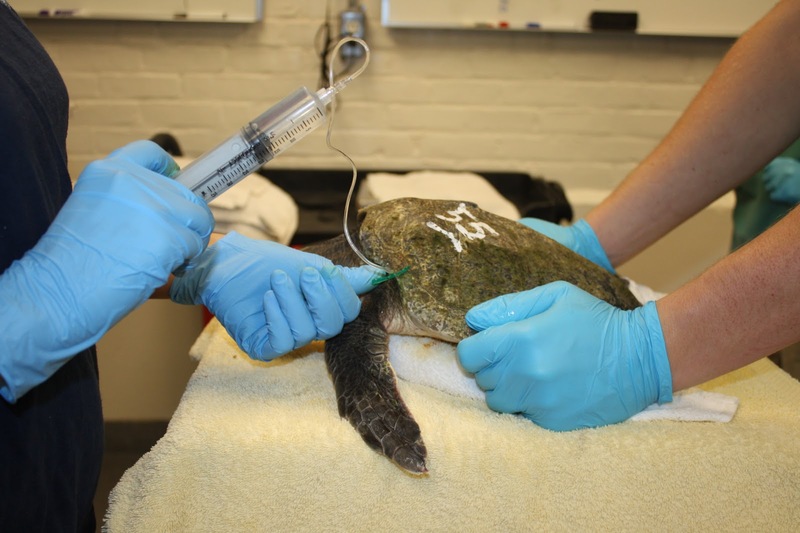 Each turtle receives a full physical exam (including heart rate, eye exam, photos, and more), blood work, a supervised kiddy pool swim and fluids upon arrival. 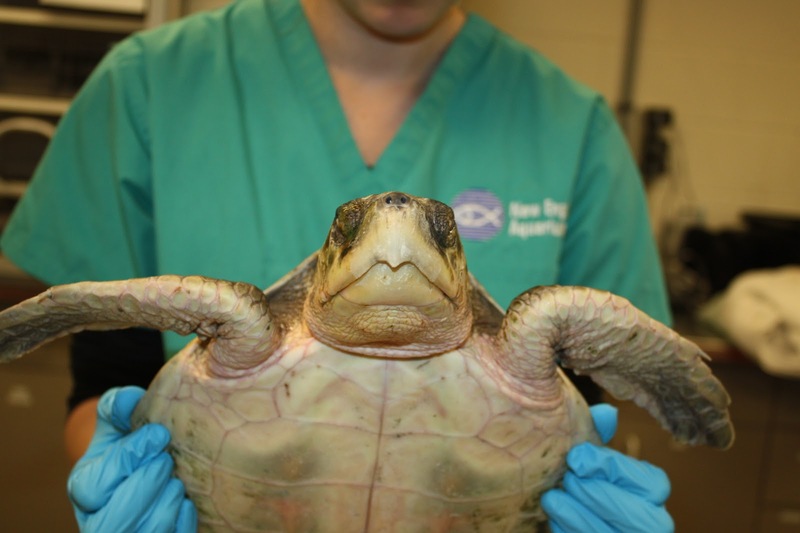 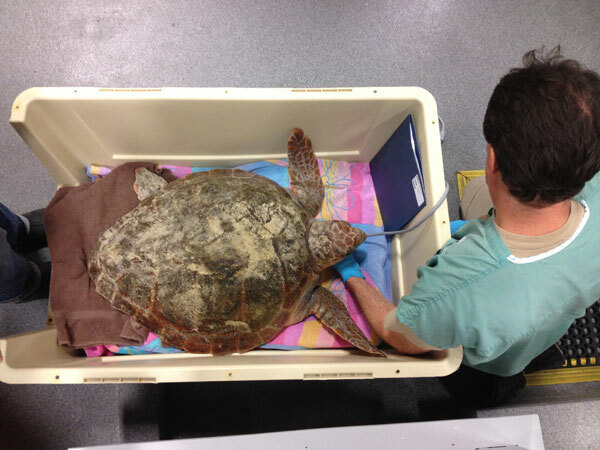 In the above photo, Dr. Charlie Innis examines a loggerhead sea turtle that was brought to the hospital on Thursday. 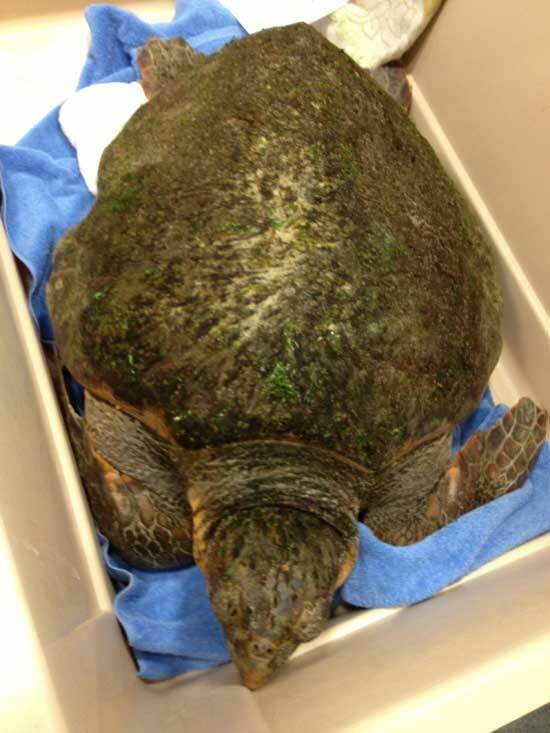 This turtle has a severe injury and is missing his right front flipper. 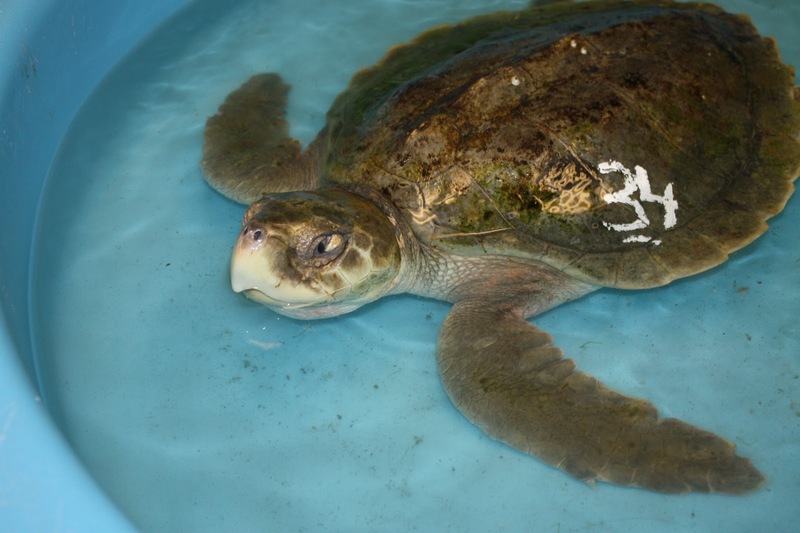 He is extremely alert and responsive in his kiddy pool, and we will keep you updated on his progression. Four more turtles arrived this afternoon! The above photo shows staff member Ulrika checking the heart rate on one of these new arrivals. As I was leaving for the night, our first two patient were enjoying their first day in the big tank as they were resting on the bottom together. 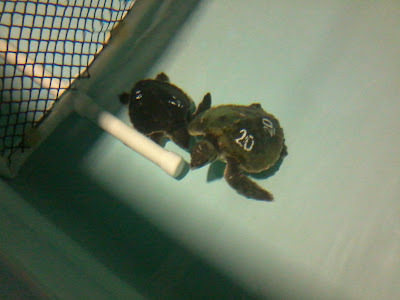 They are getting stronger each day and will actually be offered food tomorrow! 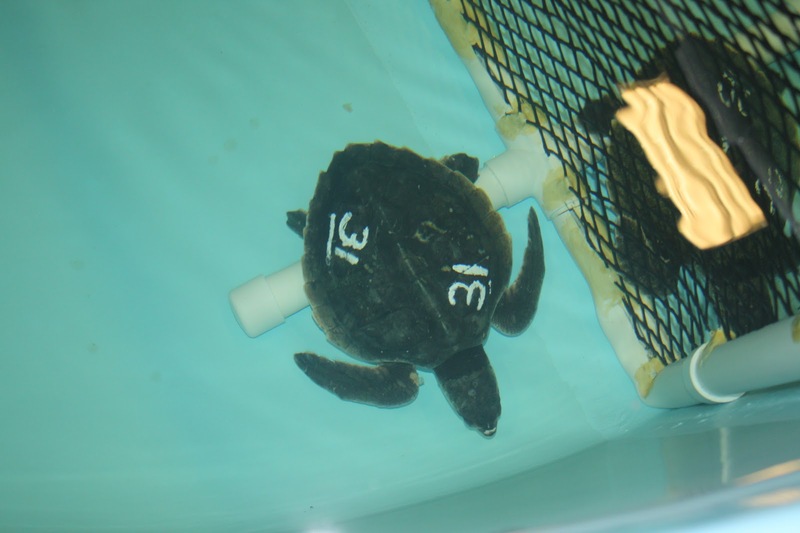 We are extremely excited for this turtle season and we will keep you updated on the 12 turtles currently in our hospital and new ones to come. Also, the naming theme for this year is being finalized and we will be able to share that surprise with you soon! 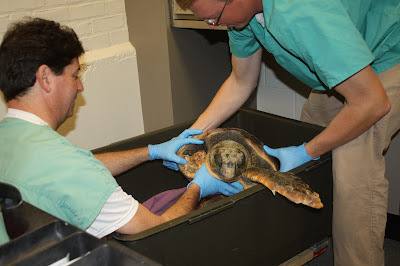 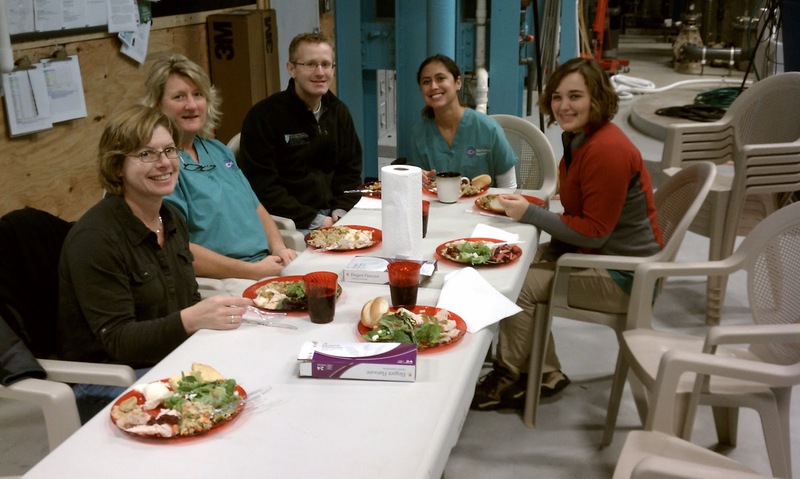 Check out this video from Thursday's events and check back soon for more info and updates on our new patients.